Back in the real world in 2018, VR enthusiasts hope the fast-paced action movie heading to worldwide theaters this week will spark new interest in the technology and help boost what is now a niche market. “Ready Player One,” based on a novel by Ernest Cline, features a group of teenagers who spend their days in VR goggles, suits and gloves to maneuver their avatars through a computerized wonderland called the Oasis. It is filled with infinite possibilities for working, learning and socializing. As his refuge comes under threat, Watts joins other avatars in a contest that could give them the power to protect the virtual world. Existing VR capabilities are far more limited than what is portrayed in the film. For entertainment, VR’s most prevalent use is in gaming, where players can battle in 360-degree settings seen through headsets from Facebook’s Oculus unit, HTC Corp and others. Spielberg was among VR’s early adopters. He had been toying with a headset at home before he made “Ready Player One,” and he incorporated the technology behind the scenes. To appear in the Oasis, the actors had to perform in a nearly empty white room wearing motion-capture outfits so their movements could be transferred to digitally created sets. Spielberg had the Oasis sets re-built in VR. VR supporters hope “Ready Player One,” filled with special effects and backed by an upbeat 1980s rock soundtrack, thrills audiences and piques their curiosity. Several related VR experiences, such as a trip inside the movie’s dance club, will be offered on the HTC Vive headset through an official partnership with the film. People who do not own the equipment can head to VR arcades to try out the technology. 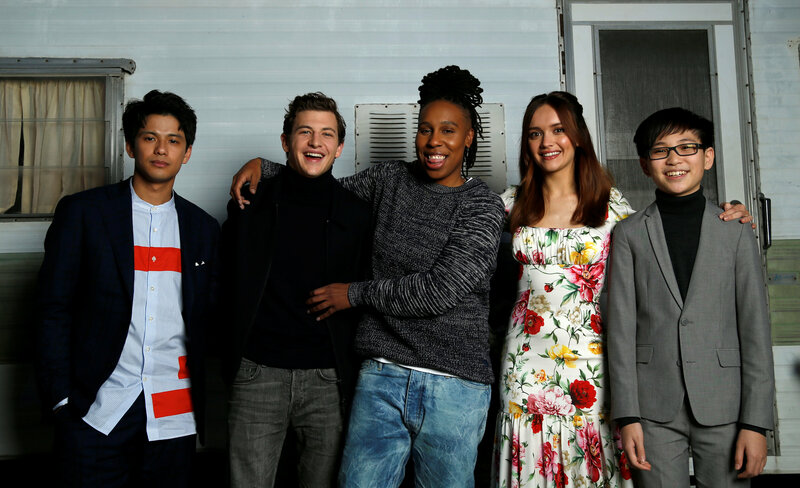 Actress Lena Waithe, who plays an auto mechanic in the Oasis, said she enjoys VR but encouraged limits to time spent in a virtual world.